We work with a number of community organizations who enhance our work, make our programs and events possible and give our alumni opportunities to activate their leadership in the community. Champions invest $20,000 or more annually in the organization. Leaders invest $10,000 to $19,999 annually in the organization. Supporters invest $1,000 to $9,999 annually in the organization. Mile High United Way Inc.
We regularly reach out to the community and ask for opportunities for our program participants to put their learnings to the test with a team impact project. Have a community project in mind? Tell us! Our community is stronger when we all feel empowered to lead from where we stand. And, we know we get more done together. 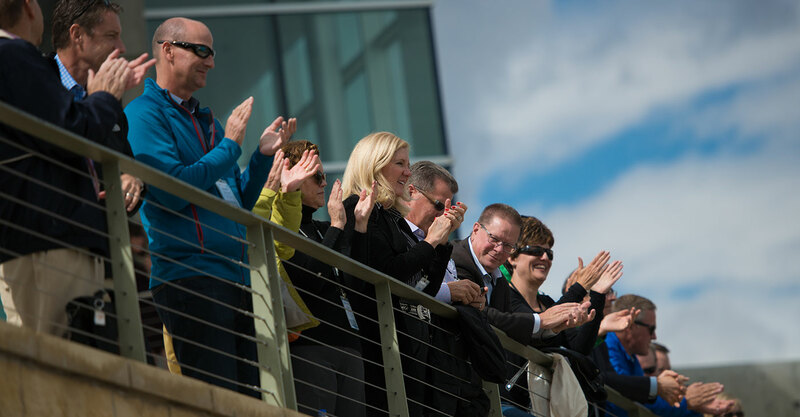 That collaborative spirit is part of how we work – what we call Colorado’s Civic DNA. It is with that focus on raising more barns that we partner with community leadership programs to strengthen Colorado one leader at a time, together. Get to know our leadership partners. http://rainypass.com/faq/ Put JS Includes To Body option to true. "; errorMessage += "